In Task Oriented Programming (TOP), tasks, as performed by both humans and computers, are the core concept. 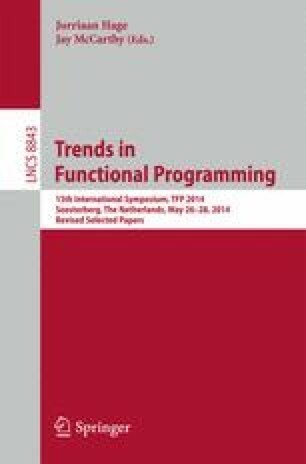 TOP is implemented by the iTask system (iTasks) as a shallowly embedded Domain Specific Language (DSL) in the functional programming language Clean. iTasks is used in industry for rapid prototyping in complex sociotechnical domains. However, for non-technical stakeholders, an iTask specification is too difficult to understand. Stakeholders like to communicate their ideas informally, using drawings and natural language, while TOP programmers model tasks in Clean. We propose a way to eliminate this communication gap by translating a textual iTasks specification into a graphical one, called a blueprint, which should be understandable by non-technical stakeholders. Blueprints abstract from Clean language details as much as possible, yet contain enough information to be understandable independently. Furthermore, we show how blueprints are instantiated at runtime, resulting in an animated trace, showing how end-users progress with which tasks. The Clean compiler has been adjusted to generate blueprints, as well as inject wrapper code that relates run-time information to the compile time specification. A Tonic viewer application, written in iTasks, uses this wrapper code to visualize the traces.